This Quirky Power Bank Signs Your Forms, And Slips Into Your Front Pocket! Researchers from a smartphone add-on maker Mophie have found out that 92% of British people would feel stressed if their smartphone battery ran out. To prevent this, you would try to make sure that your smartphone battery is fully charged before they leave home, or grab a power bank so that we could charge our phone while we’re on the go. But sometimes we don’t have the time to fully charge our phones, and bringing a power bank along with you can be quite troublesome. Some power banks can be bulky, and manoeuvring charging cables can be a hassle. Wouldn’t it be great if your power bank was slightly lighter and can be slipped into your pocket, like a pen? Introducing the Power Pen, an ingenious pairing of a pen and smartphone charger. As its name suggests, the Power Pen combined together a normal pen and a power bank. Therefore, you would be able to use the Power Pen like any conventional pen and also plug it into your smartphone when your battery has gone flat. On the surface, the Power Pen is a sleek and brushed aluminum stylus. It measures approximately 15.5 cm in length. The Power Pen comes in two colours, namely black and gold. The Power Pen also works as an actual usable writing pen – a twist-action reveal the ballpoint pen tip that you can easily use to fill out a form or sign a signature. Users are allowed to charge both Apple and Android devices because the Power Pen comes with a lightning connector and a micro USB. 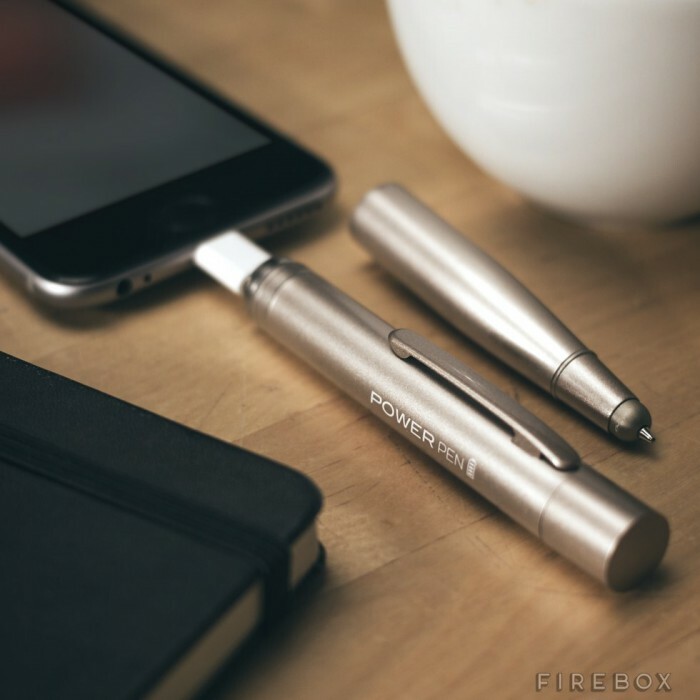 The Power Pen is a 7000 mAh battery pack, just enough for a quick boost in tight situations. To recharge the Power Pen, all you need to do is just plug the other end of the pen into any USB port or USB wall charger. 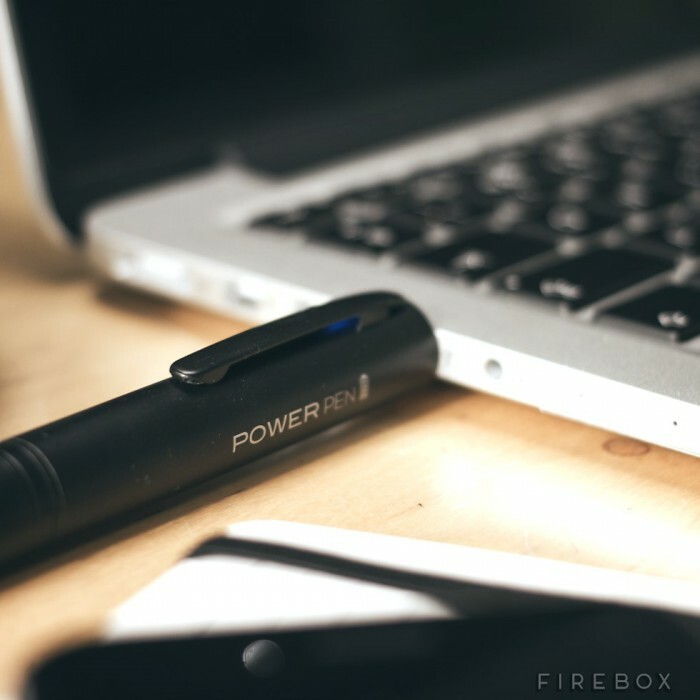 At the moment, the Power Pen is available for pre-order and costs £24.99 from Firebox. You can still pre-order it from Firebox if you are not from the UK because they deliver internationally.